Infallible Techie: How to remove chatter in Salesforce? 1. 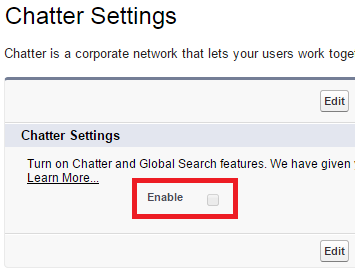 Go to Setup --> Customize --> Chatter --> Settings.